Archive for Sword Art Online: Ordinal Scale. I also own Sony phones. I bought AKG K701 headphones in 2011. These are the same headphones Mio wears in K-On!, but I think I can at least claim I did not buy them because of Mio since I sort of hated what few episodes of K-On! I even watched. (I did like the movie, though.) But, on the other hand, I did at least know these were "the Mio headphones" when I bought them. Sure, I was already considering these AKGs before I even learned of the K-On! connection, but I can't necessarily argue that the increased awareness generated by the buzz following their appearance in the anime had no influence on my decision to ultimately buy them. NFC pairing is also magic. 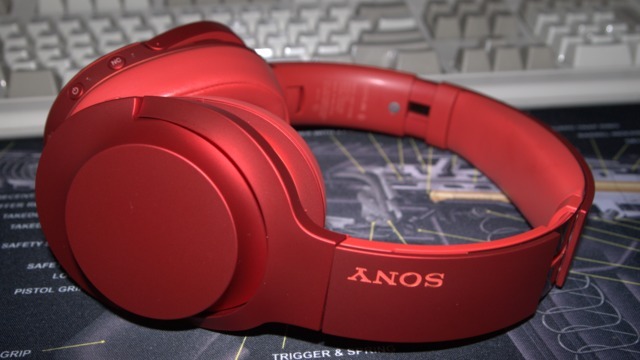 Then there's the Sony MDR-100ABN headphones that I bought in 2018. Their appearance in Sword Art Online: The Movie —Ordinal Scale— most definitely factored into my decision to buy them. 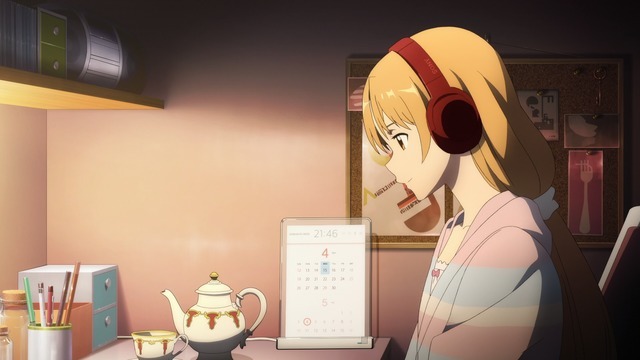 Sure, I was in the market for both wireless and noise-cancelling headphones, but the fact that I specifically purchased the Asuna-flavored version was absolutely influenced by the handful of seconds they appeared in the anime. (Wireless headphones are great around the house and having noise cancellation on a plane may as well be Goddamn magic, incidentally.) They were actually a little difficult to find because I bought them after their newer WH-H900N successors had been out for a while already. Hey, at least I didn't hunt down the insanely priced SAO-limited-edition ones (since I'm not not actually an SAO fan, despite appearances).